High pressure sodium (HPS) bulbs provide a lot of light intensity and are great grow light to use for flowering marijuana plants. The high light intensity of HPS grow lights is essential for to grow big, thick buds. HPS light bulbs are typically used during the flowering stage of marijuana growth. HPS can be also used for the vegetative stage, but most growers using high intensity lighting prefer using metal halide bulbs for vegetation and HPS bulbs for flowering. The MH bulbs provide more blue light which is beneficial to plants during the veg cycle. 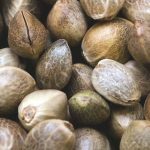 What is the best size of HPS bulbs to use for flowering marijuana? There are multiple sizes of HPS bulbs available for growing weed. The higher the wattage, the more intense the light will be. Higher wattage HPS bulbs also generate a lot more heat, and use a lot more electricity. 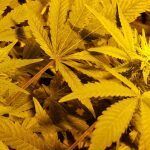 These are all important considerations when choosing the best size of HPS bulb to use for growing weed plants. 1000 Watt HPS bulbs provide a lot light intensity which develops a dense bud structure on the plant. 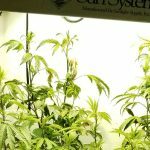 Using a 1000 W bulb allows for greater light penetration, so you’ll also get better but development lower in the canopy compared to running say a 600 W bulb or lower. If you have the ceiling height, you’ll get the sickest buds by using a 1000 W HPS bulb compared to a lower wattage, and the coverage area will be much wider. How close to plants should 1000 W bulbs be set up? 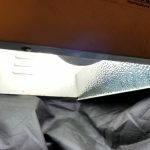 Heat is a major concern though with 1000 W lights, so you will need to make sure that you are 1000 W HPS bulbs are at least 24 inches from the tips of your plan. Too much he will damage your buds. Running multiple 1000 W bulbs will definitely generate a lot of heat in a grow room. 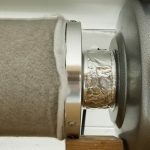 If you’re using several 1000 W bulbs, you will probably need an air conditioning system and a CO2 system in order to lower the room temperature and provide more carbon dioxide for the plants. Adding CO2 allows plants to grow in hotter temperatures which is helpful for large-scale grows. How much electricity does a 1000 Watt HPS bulb use? To determine how much electricity does a 1000 Watt HPS bulb use, you need to do some simple math. Each hour you run a 1000 W HPS bulb equals one kilowatt hour. Factor how many hours per day you’ll use the bulbs (typically 12 hours in a standard flowering cycle). A typical HPS ballast uses slightly more energy than the bulb itself, so you’ll use 1.1 kilowatt hours x 12 hours = 13.2. This means that you would use 13.2 kilowatt hours per day per 1000 W HPS bulb. Currently in my state the average price per KWH is $.20 cents. So each day it would cost you $2.64/day, or nearly $80/month to run your 1000 W HPS Ballast. Plus you’ll need to run a fan to air cool your lights, that ‘s extra and depends on the size of the fan you’re running. How many lumens does a 1000 W HPS bulb produce? A 1000 W HPS bulb produces about 126,000 lumens. The mean lumens-to-watt ratio for 1000 Watt HPS is 114, which is slightly less efficient then 600 HPS bulbs. 600 W HPS bulbs can also produce a fantastic buds. 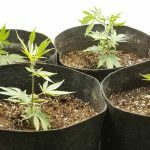 They’re a great choice for medium grow tents or running a string of multiple HPS light bulbs without generating too much heat. 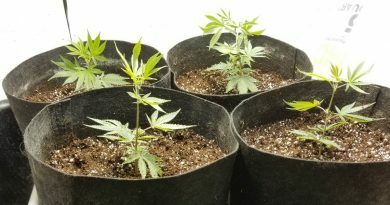 How far should 600 W HPS bulbs be from the tops of marijuana plants? 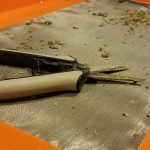 600 W HPS bulbs can be placed about 12-14 inches from the tops of marijuana plants assuming that you’re using an air-cooled hood or cool tube hood to remove heat from the bulb. If you’re not using an air-cooled hood, you’ll need to raise that distance. Place your hand under the bulb at the level of the tops of your plants. If your hand can stay under the light without feeling uncomfortable, then your lights are a safe distance from your marijuana tips. If your hand gets hot, so too will your plants. Be careful that growing marijuana doesn’t creep too close or you’ll suffer light damage. Compared to 1000 W bulbs, with 600 W you have to keep the lights a bit closer to the plants which limits the overall area a 600 W HPS light bulb can cover with high intensity. 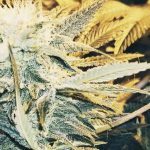 But since 600 W bulbs generate much less heat they can be placed much closer to the plants tips than a 1000 W bulb can, they’re a great option for people growing shorter tents or in grow rooms with short ceilings. 600 Watt HPS bulbs produce about 84,000 lumens. 600 W bulbs are more efficient than 1000 W bulbs – they’re the most efficient of all HPS bulb sizes at 121 mean lumens per watt. How much electricity does a 600 W HPS bulb use? The ballast wattage of 600 W bulbs is about 10% higher than the bulb rating, around 660 Watts. Assuming 12 hours per day at $.20 cents per kilowatt hour, you’re looking at about $1.58/day to run a 600 W HPS ballast. Running two connected 600 W HPS bulbs at $3.16/day has barely more electrical usage that running a single 1000 W HPS bulb at $2.64/day. This is a good option for ensuring adequate light intensity for small grows of 4-6 plants. 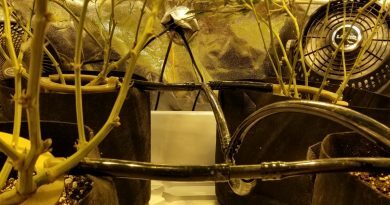 Since many growers need to adhere to plant limits depending on the rules in the places they live, this type of setup can yield great results without using too much electricity. What sized grow tent should use a 600 W HPS bulb? A 600 W bulb is a great choice for a medium size grow tents, such as a 3’x3′ or 4’x’4 tent. A 600 W HPS bulb is the recommended size to use with 4’x4′ grow tents according to most manufacturers. You would not want to use a 600 W lightbulb in a 5’x5′ grow tent however, as light would not reach the sides enough. 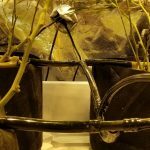 A 5’x5′ grow tent requires use of a 1000 W HPS bulb. Since tents are such a small enclosed area, a lot of heat will be generated if you try to use a 1000 W bulb in a 4 x 4 tent. Plus the heat output of 1000 W set ups makes it often very difficult to grow tall plants in a tent because of the distance the light must be from the tops of plants. 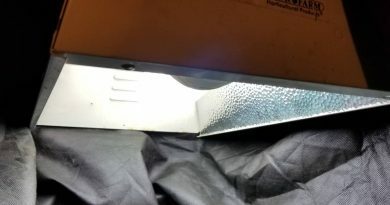 600 W are much easier to use in grow tents since they can be placed a lot closer to the plant tips. Remember that after you switch the light cycle to 1212 to reduce flowery, the plants typically will continue to grow to nearly double in height. This period of growth early in the flowering cycle is known as the flowering stretch. Many a grower has tried to get the plant as big as possible during vegetation to maximize yield, only to find that it scratched up into the lights during flowering. It is very important to plan accordingly for the stretch, to ensure that the tops of your plants do not the close enough to the light. Typically it is these tops closest to the light that will kill the best bulbs, but if they are too close you will have disastrous results. 400 W high-pressure sodium bulbs are great for smaller grow areas, such a small closets or 2’x2′ grow tents. 400 W HPS bulbs generate a lot less heat than higher wattage light bulb sizes. They are great for small enclosed areas or small tents for growers who still want to seethe results given from intensity discharge bulbs. 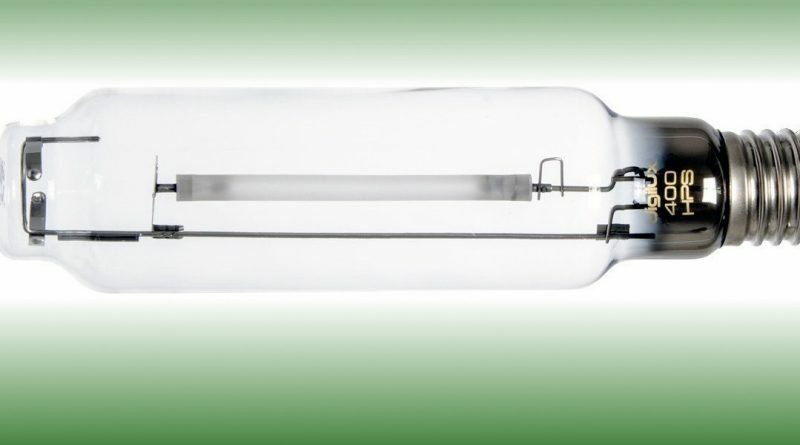 400 Watt metal halide bulbs are a great choice for mother plants. Growers typically don’t use high pressure sodium bulbs for mother plants because the metal halide’s are better than high pressure sodium in the vegetative cycle, the bluer light spectrum is more optima for vegetative growth. Technically you could still use a 400 W HPS for flowering in a pinch. 400 W bulb is possible to use in a small space even without an air cooled hoods. How many lumens do 400 W HPS bulbs produce? 400 W high pressure sodium bulbs produce about 45,000 lumens of light. 400 W HPS bulbs produce 96 lumens per watt of electricity. How much electricity do 400 W bulbs use? The ballast wattage for a 400 W HPS bulb is about 460 Watts. Assuming a 12 hour flowering cycle and a rate of $.20 cents per kilowatt hour, it costs about $1.10/day to run a 400 Watt HPS grow light bulb. 250 W HPS bulbs might be a good option for a small mother room, or if you have a really small enclosed area that you’re trying to use as a global growth chamber or closet. Generally is not recommended to try flowering marijuana with such a small bulb wattage though, as the mass of yielded marijuana will you will be pretty low. But it can be done. 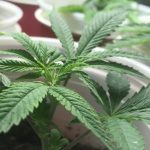 Using the calculation of 1/2 a gram of yielded marijuana for each watt of bulb, the 250 W HPS bulbs would lead to the flowering of about 125 g so of bud. For some people this might be enough more than adequate but for most growers since the amount of work and hassle to grow under a 250 W would equal that of more powerful buds, the reduced yield would not be worth the trade-off. But the 250 W HPS bulbs is not a bad idea if you are concerned about electrical usage, it is very good for your light bill and ensures a tiny grow space won’t get too hot. 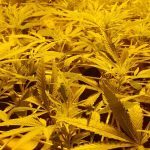 If you are forced to grow and very short area, the 250 W HPS light bulb can be placed close enough to the flowering weed that you like they can get away with short ceiling height. 250 W HPS bulbs might also be used for things other than growing marijuana, such as Japanese maple plans or other bonsai plants, the high intensity of the 250 W HPS bulb is definitely preferable that light would be from standard CFL bulbs or fluorescent bulbs for such usage. How many lumens do 250 W HPS bulbs produce? 250 W high pressure sodium bulbs produce about 25,600 lumens of light. 250 W HPS bulbs produce 86 lumens per watt of electricity. How much electricity do 250 W bulbs use? The ballast wattage for a 250 W HPS bulb is about 295 Watts. Assuming a 12 hour flowering cycle and a rate of $.20 cents per kilowatt hour, it costs about $.70/day to run a 250 Watt HPS grow light bulb. High pressure sodium (HPS) bulbs are a great option for marijuana growers looking to get an impressive yield from their flowering plants. The high light intensity allows for thick bud development, and for better growth lower in the canopy then with less intense options. 1000 W HPS bulbs are a great choice to get a lot of yield, but they’re high heat output requires them to be placed far from the plants. 1000 W bulbs also have the problem of high electricity usage. But they will allow you to get the most overall yield than lower-wattage HPS bulb options. 600 W HPS bulbs are a great intermediate choice to balance heat and electricity usage while still insuring a lot of light intensity. The area they can cover is less than 1000 W bulbs. 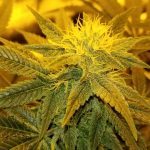 400 W bulbs are also a good option in tight confinement, it could be place closer to the plants which is great for small rooms or tiny grow tents. 250 W HPS bulbs are really all that great for growing lots of high quality marijuana, but can be used in small spaces or for discreet grows. Anything smaller than a 250 W bulb isn’t a good option for a high pressure sodium grow light for growing the best marijuana.